Lean into summer with these tropically inspired recipes. So many Scentsy fragrances are inspired by our favorite food and drink and smell good enough to eat. (Don’t do it!) Our tropical fruity fragrances are especially tempting, maybe because one whiff can whisk you away to an exotic tropical island, where coconuts, pineapples, bananas and mangoes make up the four food groups. Take our Go, Go, Mango fragrance: juicy mango and melon garnished with hibiscus and sweet banana flower. Sounds good enough to eat, right? Well, wait until you smell it! 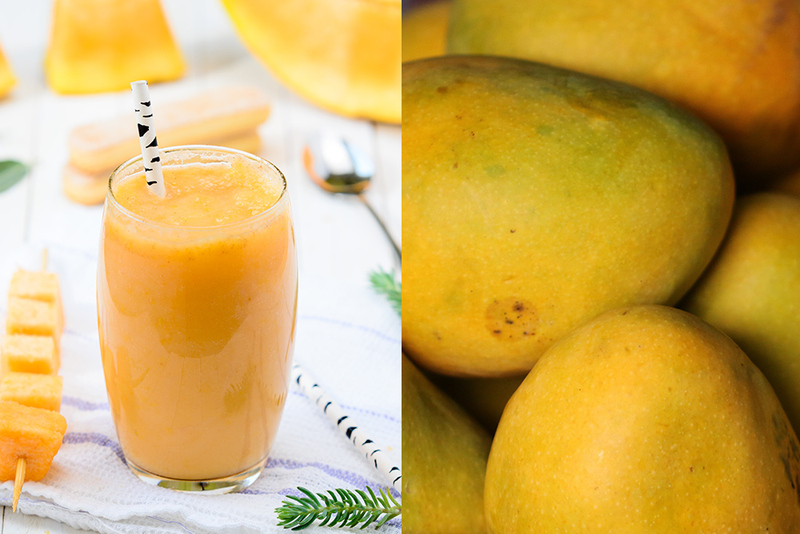 Inspired by the description and tempted by the smell, we went on the hunt for some refreshing mango recipes. We had one rule. They had to be easy! Blend all ingredients together. Whisk until light and frothy. Grind the cookies in a food processor until they become fine crumbs. Transfer to medium bowl, add the cocoa powder and butter, mix well. Divide the mixture among 6 clear Mason-type jars, and compress it well by pressing with the back of a spoon. Refrigerate while preparing the rest of the cheesecake. In a small bowl, mix together the cream cheese, powdered sugar, 1/2 the lemon zest and the lemon juice until the mixture becomes compact. Distribute the mixture among the 6 containers on top of the cookie crust, and refrigerate again. Mix the mangoes with the remaining lemon zest. Distribute the mixture among the 6 jars. Refrigerate until ready to serve. Combine all ingredients in a large glass pitcher. Refrigerate until cold. Serve chilled in cocktail glasses, garnish with fresh mango wedges. For more tempting fragrances that inspire summer refreshments, contact your Scentsy Consultant, or find a Consultant here! Separator image Posted in Food & Recipes, ScentTrend.